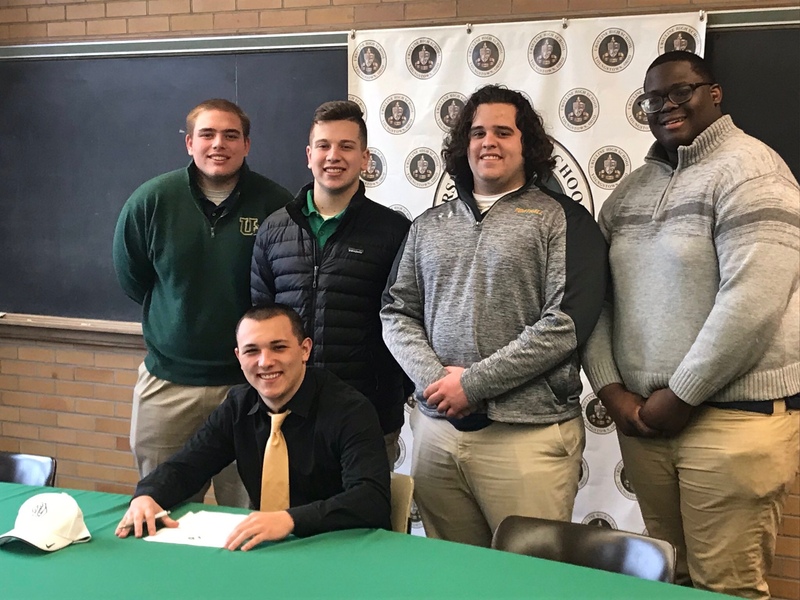 Youngstown Ursuline’s Luigi Rohrbaugh signed his Letter of Intent to continue his academic and athletic career at Ohio Dominican University next Fall. Rohrbaugh will suit up on the football field for the Panthers and was one of 25 who signed with ODU and Coach Kelly Cummings. Congratulations to Luigi, and best of luck at the next level!